Corvette Racing will field a single Corvette C7.R in the FIA WEC 1000 Miles of Sebring in March. The FIA WEC Sebring round will be held just a day before the IMSA 12 Hours of Sebring in which Corvette Racing will field its standard two-car lineup. Corvette Racing will likely be bringing the third Corvette C7.R chassis that raced at the 6 Hours of Shanghai late last year to Sebring for the extra race. It will wear No. 64 and will be driven by Jan Magnussen, Antonio Garcia and Mike Rockenfeller. The Sebring entry will mark the Chevrolet squad’s third appearance in the 2018-2019 FIA WEC Super Season, with the team having also raced the 2018 24 Hours of Le Mans. As usual, it will be racing in the 24 Hours of Le Mans this year as well, meaning the team will have contested half of the 2018-2019 WEC season. The car that raced in the rainy Shanghai 6 Hours last year wore a special ‘Redline’ livery to promote the debut of a new series of Chevy ‘Redline’ special edition cars in China. The Redline livery probably won’t appear at WEC Sebring, though, with Corvette more likely to revert to its familiar yellow color scheme for the race. 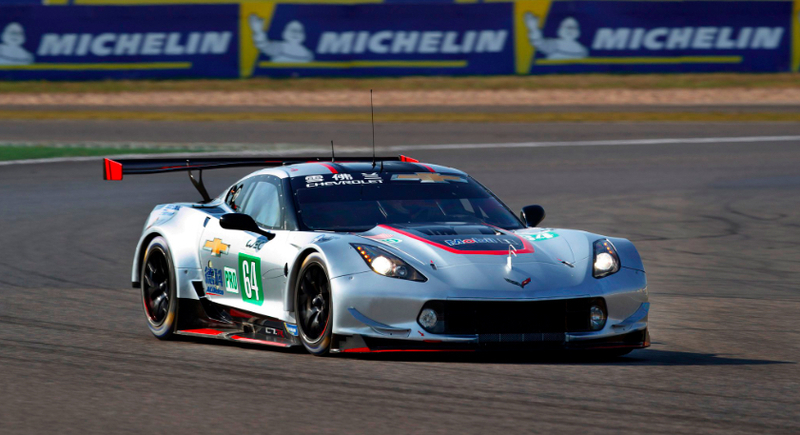 Corvette Racing finished 8th in class at the 6 hours of Shanghai. The team lacked pace in the race, having never run at the Chinese track before, but kept their noses clean in dark, rainy conditions to beat a handful of series regulars. It will certainly be hoping for a better result at the 1000 Miles of Sebring, with the American squad finally welcoming the European teams to its home turf instead of the other way around. The FIA WEC 1000 Miles of Sebring will go green on Friday, March 15th, with the IMSA WeatherTech Sportscar Championship 12 Hours of Sebring set to be held just a day later on Saturday, March 16th. Car & drivers won’t be in the 12 hour.